Twenty week picture + a pic of Noel, my parents’ dog they adopted last week from the shelter. She’s hilarious. This speech wasn’t going to be about pregnancy, but I found it too difficult to focus on anything else. Every decision I make, every movement, every thought I have, my growing belly is at the back of my mind. This baby isn’t even born yet and it has already taken over my my life. Have you heard the term, “baby brain?” This refers to the absent mindedness that many women suffer from when they’re pregnant. Scientists and health care professionals will tell you it’s not a real thing; there’s no scientific reason that a woman’s mental capacity would be diminished during pregnancy, but I think it’s very real. How could it not be? How can I be at 100% mental capacity when the baby is taking up at least 10% at all times? This was especially bad in the first trimester. I couldn’t even do basic math. And I couldn’t go to toastmaster meetings, not because I was busy, but because I was so tired and so nauseous. I napped instead. On days when the nap didn’t happen, I’d wind up wandering around the house crying: why won’t this peanut butter jar open! Now in the second trimester, things have gotten a little better. my thoughts have moved to – I am so hungry. I have to pee… again. Do I look pregnant yet? What can I wear that still fits… Was that the baby moving? … Was that the baby moving? It’s not just me thinking about baby. Every conversation I have starts the same way: “How are you feeling? How’s the baby?”. Good, um, you know, it’s still in there. Do I know the gender? No, not yet. And if the conversation goes on long enough, it will inevitably turn to my bowel movements. “…Are you constipated?” No, thanks for asking. I’m just happy no strangers have tried to touch my stomach yet. I’m very ticklish. This is one of my sillier worries. I worry, a lot. Not as much now as in the first trimester, when the chance of miscarrying is about 25%, but I still worry about doing everything right. Am I getting enough protein? Am I eating too much vitamin A? Are these eggs cooked enough? Is this meat too pink? Is my seatbelt low enough? Am I exercising too hard? Have I gained enough weight? Have I gained too much? Is this organic? Is this feta cheese pasteurized? What’s scary is that you can do everything right and things can still go horribly wrong. That lack of control over our circumstances causes a lot of anxiety. Preoccupied with the pregnancy, I’ll often forget in a few months, I’ll be a mom. When I remember,I get all excited thinking about holding the baby, singing to the baby, playing with the baby. And then there’s a moment of terror when I realize I know nothing about taking care of a baby. I have no idea how to change a diaper. I took a babysitting course when I was 12, but I’ve never done it on a real, living child before. I’m sure I’ll learn that and the billion other things that will simultaneously amaze and disgust me. Every prenatal yoga video I’ve done so far starts with a meditation to “connect with your baby.” And I sit there thinking, how much more connected can we get? It’s taken over my body and my mind! I suppose I still think of it as a parasite more than a baby most of the time. That will change. Being pregnant is OK, but mostly, I can’t wait until I finally get to meet this little person. Your belly is indeed getting bigger :) Very exciting. LOVED your speech. It’s so true!! Changing a diaper when they’re little isn’t too bad (except for explosives) its when they start becoming stronger/wigglier/crawling-walking-mobile babies/toddlers that can be challenging. Hehe, nice 20-week picture! :) You’re looking good! I’m glad to hear that the first trimester is over with, and that things are getting better now!!! It really does seem like life is passing by so quickly, I’ve never had the time to stop by to read about your life, but I’m SO happy to hear that things are going really well for you, Lissy! I don’t have any advice for you because I haven’t reached this stage of my life yet, so… I’m hoping others will make your life easier so that you wouldn’t by worrying so much! 20 weeks? Wow. Looking great! :) Loved reading your speech. It was so meaningful. I just saw your comment on my site and went “MATERNITY CLOTHES? !” OMGGGG! Congratulations! 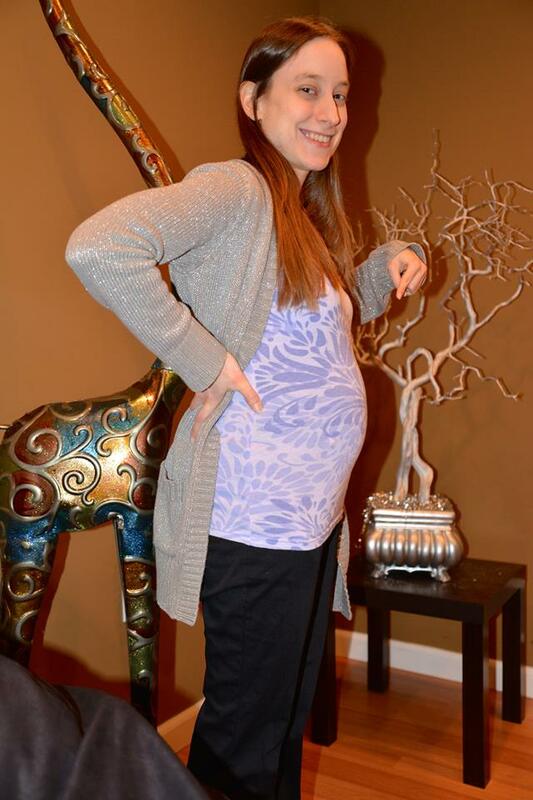 You are freaking adorable with your bump!